In our last blog post, we mentioned purslane – a common weed packed full of nutrients and great flavor. Some of you were interested in learning more about the edible plants that are already growing in your yard. Look for these three this season! 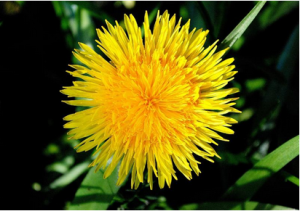 Dandelion – Greens are edible and high in Vitamins A and K. They have a good amount of fiber, and are a source of Vitamins C, and B6, calcium, iron, potassium, and manganese. Blanching the leaves in boiling water for 20 -30 seconds can help make the flavor of the leaves milder. Flowers are also edible and make an immune-boosting tea. Lambs Quarters – Many say that Lambs Quarters taste like spinach or chard. Some say it tastes even better than both of those vegetables. This superweed is high in Vitamins A, C, and B6, Dietary Fiber, Protein, Thiamin, Riboflavin, Calcium, Potassium, Copper and Manganese. Learn how to identify Lambs Quarters in your garden. Clover – This abundant “weed” has edible leaves, flowers, and roots. Some say that the leaves of white clover taste best, but red clover is the most nutritious. Red clover is a good source of Vitamin C, protein, calcium, chromium, magnesium, niacin, phosphorus, potassium, and thiamine. Roots should be cooked before eaten. Leaves can be eaten raw before the plant flowers, but should be cooked after flowering. Clover flowers make a good addition to teas and salads. Note: Only eat weeds from a pesticide-free lawn or garden. Always wash before consuming. Try adding any of these superweeds to soups, casseroles, sandwiches, sauté’s, sauces, juices, smoothies, stews, and salads. There are many possibilities! Sprigs of Lambs Quarters and clover flowers make a nice garnish too. 1) Wash and trim dandelion flowers. 2) Place in large mug. 3) Pour boiling water over flowers and steep for 5 minutes. 4) Sweeten with raw honey or stevia. Gather the leaves and flowers of whatever edible weeds you have available in your garden. Wash, chop, and toss in olive oil, seasonings, and lemon juice or your favorite dressing.